You don’t need to be a Flinders Student, all welcome. Under 14’s and Under 13 Boys – every Tuesday and Friday, starting on Tuesday 6th February. Under 13 Girls and Under 12’s – every Tuesday and Friday, starting on Friday 9th February. Under 11’s and Under 10’s – every Friday, starting on 16th February. Under 9’s and Under 8’s – every Friday, starting on 23rd February. Under 7’s and Under 6’s – every Friday, starting on 2nd March. 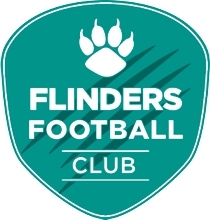 Flinders Football Club Registrations are now available for the 2018 Season. Register through the http://www.playfootball.com.au website. Talk with us on Friday 2nd and 9 February 2:30 to 4:30pm in the MFAC Primary Quad. Registration is NOW Open for the 2018 Season. You can register to play for the 2018 season through the http://www.playfootball.com.au website.